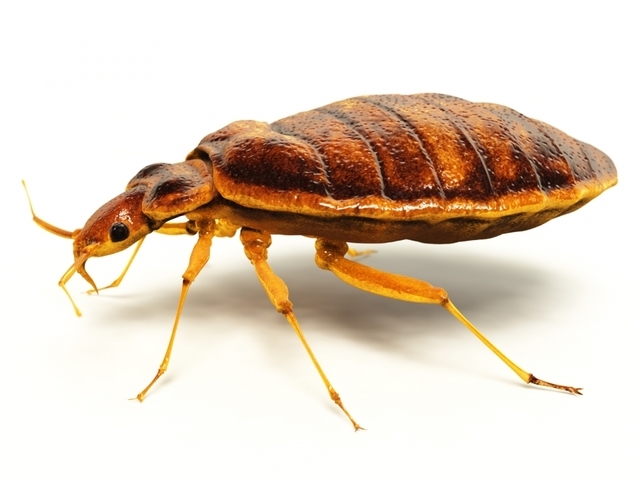 Bed Bugs are wingless insects, roughly oval in shape, 4-5 mm long when fully grown. They are rust brown in colour and change to a deeper red brown following a blood meal. Bed bugs are blood feeders and are most active at night or in the early hours before dawn, but if starved for some time they may be active during the day. They are attracted to body heat and the carbon dioxide in expired air, which is how they find their host. To obtain a blood meal the bed bug pierces the skin of the host and injects saliva. This saliva has an anticoagulant property which makes the blood flow easily. Bed bugs ingest their meal rapidly only taking 5-10 minutes to engorge themselves. Their bite is painless but becomes itchy and swells into a reddened wheal. Unlike the random pattern of bites made by mosquitoes, bedbugs tend to leave orderly rows. The female in her lifetime may lay 2 to 500 eggs which usually hatch within 7 – 3 days, depending on climatic conditions. Adult bed bugs can life for approximately 6 – 12 months. Bed bugs will hide (and lay eggs) in a variety of household objects close to where humans sleep such as mattresses, bed frames, furniture, behind skirting boards, loose wallpaper and floorboards, an in cracks and crevices of walls. They can be transported all over the world via travellers luggage, clothes etc. Allergies are rare to bed bug bites but sometimes people will experience irritation and swelling at the site of the bite.